Morphology is a broad set of image processing operations that process images based on shapes. 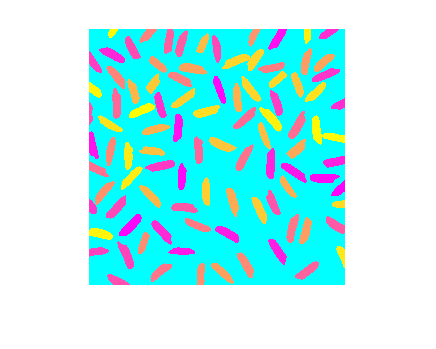 In a morphological operation, each pixel in the image is adjusted based on the value of other pixels in its neighborhood. By choosing the size and shape of the neighborhood, you can construct a morphological operation that is sensitive to specific shapes in the input image. The most basic morphological operations are dilation and erosion. You can combine dilation and erosion for more specialized operations. Morphological reconstruction is used to extract marked objects from an image without changing the object size or shape. A structuring element defines the neighborhood used to process each pixel. A structuring element influences the size and shape of objects to process in the image. Morphological dilation and erosion pad the image border in different ways to avoid border effects. Connectivity determines whether a center pixel and adjacent pixels belong to the same object. A lookup table is a vector in which each element represents the different permutations of pixels in a neighborhood. Lookup tables are useful for custom erosion and dilation operations. Dilation adds pixels to boundary of an object. Dilation makes objects more visible and fills in small holes in the object. Erosion removes pixels from the boundary of an object. Erosion removes islands and small objects so that only substantive objects remain. You can use morphological opening to remove small objects from an image while preserving the shape and size of larger objects in the image. A flood fill operation assigns a uniform pixel value to connected pixels, stopping at object boundaries. 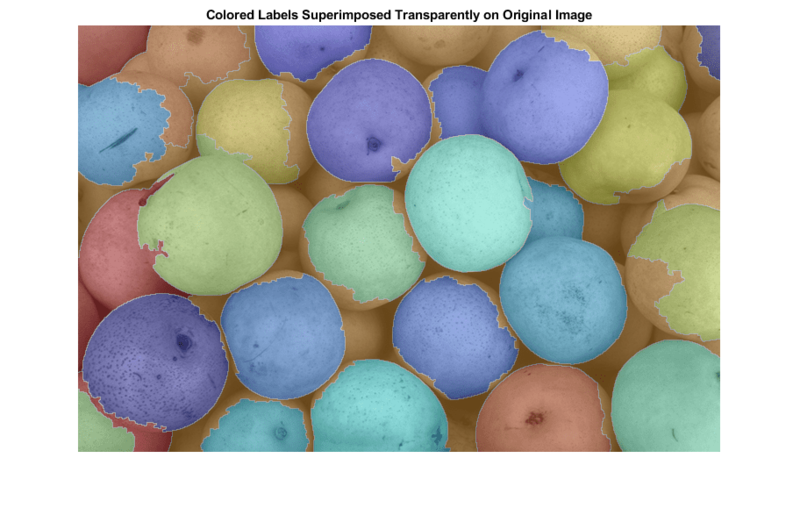 Use watershed segmentation to separate touching objects in an image. 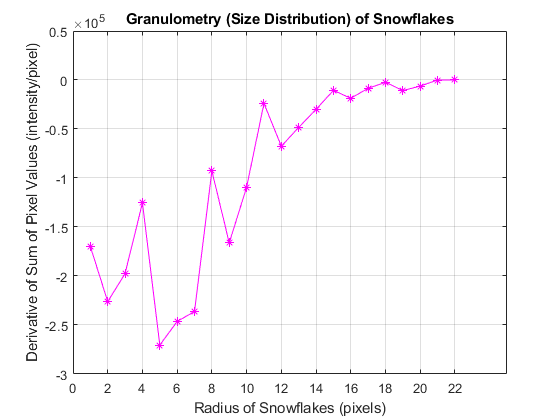 Calculate the size distribution of snowflakes in an image by using morphological opening. 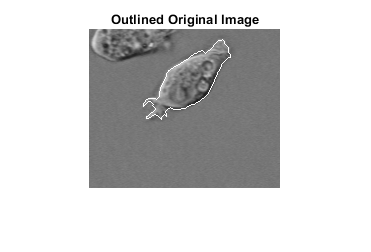 Perform image preprocessing such as morphological opening and contrast adjustment. 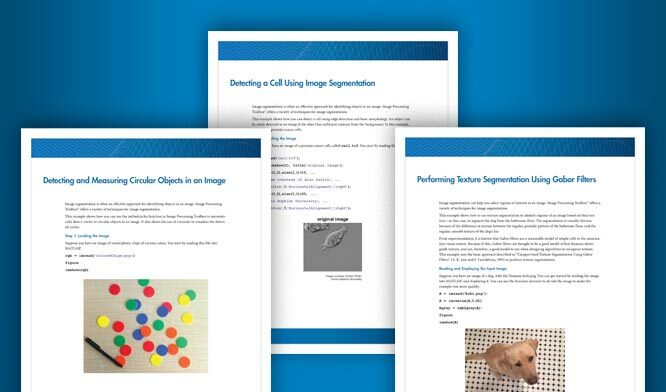 Then, create a binary image and compute statistics of image foreground objects.